Ultimately allowing you to develop the sense of control you need to reduce automatic anxiety responses. Part Two bridges the gap to the next step in making your dental visits even more comfortable with the help of oral sedation or anti-anxiety medication. These oral sedatives or “anxiolytics” (dissolve anxiety) are administered by mouth (orally) to help transition you from anxiety to comfortable dental procedures. When you are afraid, your threshold for pain is much lower, you become hypersensitive to every sensation, prick, and noise. Fear and anxiety trigger the release of certain chemicals like adrenalin which put your “fight or flight” instincts on high alert. You anticipate that something is going to hurt and so you tense your muscles, even if it is subconsciously. In this heightened state of anxiety you experience more pain during and even after treatment. However this response can virtually be eliminated with oral sedation dentistry! 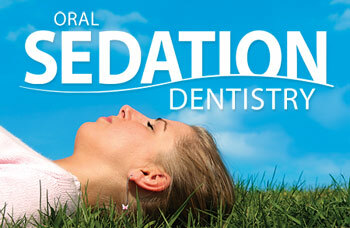 The whole purpose of oral sedation is to make you as comfortable and relaxed as possible. It allows you to let your guard down, relax both your mind and body, and focus on feeling peaceful rather than anxious. Your apprehension and hypersensitivity to pain melt away, yet you remain awake and in control. Sometimes referred to as “comfortable” or “relaxation” dentistry, these terms are used to describe the feelings most people perceive during their dental visits, which are produced by oral sedation. Oral Sedation dentistry allows you the confidence and peace of mind to experience dental procedures in a whole new way. Hours seem to pass like mere minutes so that necessary dental treatment can be performed comfortably. When you are relaxed you allow your dentist to be able to work more efficiently by focusing on the work at hand, with the confidence that you are comfortable. A variety of oral sedative and anxiolytic medications have been developed especially for these purposes. They have been subjected to rigorous research and testing and have a long safety record after decades of use. In addition several have “amnesic” properties, meaning that you remember little to nothing after treatment. The safety of sedation medications is measured by pharmacists and health professionals on a scale called the “therapeutic index.” The larger the number is on the scale, the safer the drug. Oral sedatives and anxiolytics used in dentistry have the highest numbers possible on the therapeutic index, making them the least likely to cause an adverse reaction.